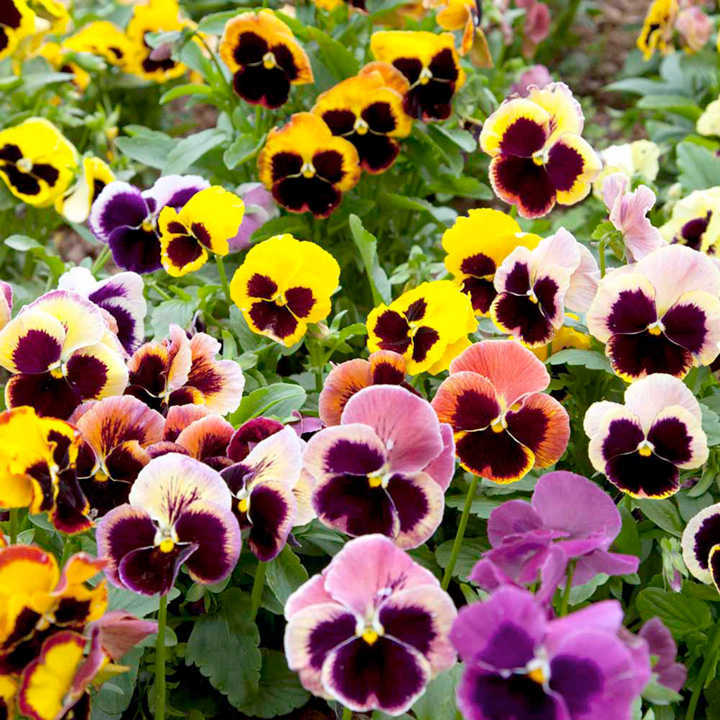 A Swiss Giant pansy, which is a strong-growing strain with enormous flowers of brillant colours all with blotches at petal bases. Height 15-23cm (6-9"). 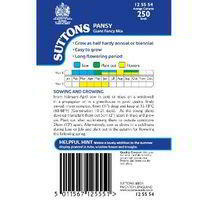 HB/HP - Hardy biennial/Hardy perennial. 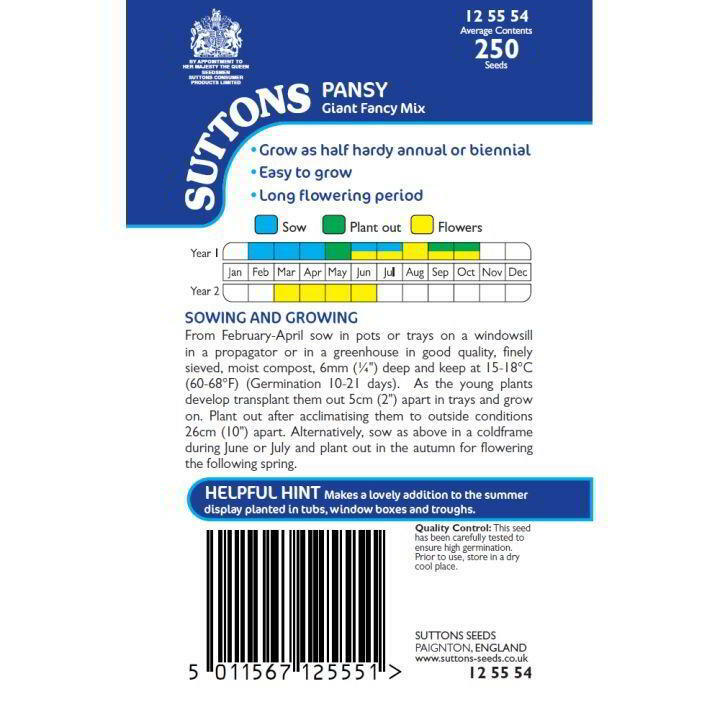 Sow May-July outdoors in a cold frame or seedbed to bloom the following spring, or February-April under glass to flower May-September the same year. 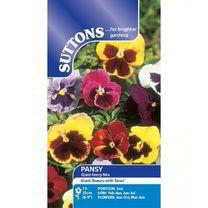 Ideal for beds, borders, patio containers and hanging baskets. Prefers full sun or partial shade. Impressive weather-tolerant plants that can flower year-round, in an amazing range of rich colours. 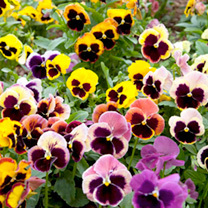 Use them for edging and underplanting, and enjoy their beauty throughout the year.